Save on cheaper car hire at Vaasa Airport - Compare Minivan, 4x4 SUV, MPV & estate rental costs in Vaasa, Finland. We have cheaper car hire in Vaasa Airport, as well as discounted rates for estates, 4WD SUV, MPV and minivans. Get a quality vehicle, at a good price, from one of these companies:- AddCar, Avis, Budget, Europcar, National/Alamo, Scandia Rent or Sixt, but with same level of quality and service. These cheaper than published prices, from well-known car hire suppliers, still have CDW, mileage and all usual benefits included. Driver Age - To rent a car in Finland, you have to be at least 20 years old. However, for many car types, the primary driver must be at least 25 years old. Such drivers should have held their licenses for one year. If these conditions are not met, there will be a surcharge imposed. Compare discounted rental costs for mokes, convertibles, jeeps, city cars, estates/station-wagons, MPV, Minivans & SUV for Vaasa Airport. Finland is home to approximately 188,000 lakes and the same number of islands. This fact alone makes Finland a unique and diverse country with a relatively large area of unspoiled nature. With the unspoiled nature comes a variety of different wonderful species of plants and animals, making Finland a great place for those trying to get in touch with nature while still mingling with people. Strangely, Finland's history is still debated to this day as archeologists argue still about the roots of this great country. 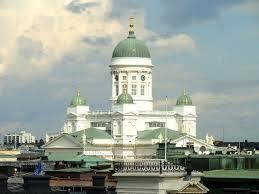 Most peoplewill begin their holiday in the country's capital and only 'real' city, Helsinki. 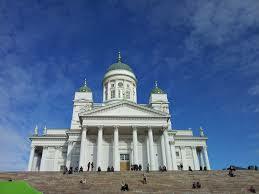 Helsinki provides a great balance of nature while also providing ancient and modern architecture. All Lakes and Islands - Believe it or not, Finland has nearly two hundred thousand lakes and about one hundred and eighty thousand islands! Apart from being the home to Santa Claus, Lapland is also a good place for the Northern Lights, when the night sky lights up and dances! 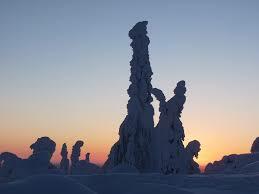 Sunrises and Sunsets - If fed up with having to go through these every day, then head to the top of Finland, where the sun does not set for 73 days in summer, or rise for 51 days in winter. Finland sits next to Estonia, Sweden, Russia, and Norway. 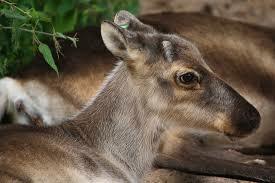 Finland is a relatively big country, although sparsely populated. The whole country is filled with beautiful landscapes. Discounted Vaasa Airport driving made easy. Discounted stationwagons, MPV and SUV rental in Vaasa. 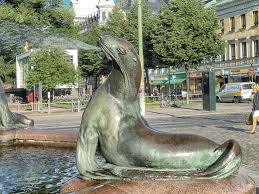 Save on Vaasa Airport vehicle rental costs. Book a 4WD SUV today, before get sold out. Optional insurance excess cover available. Get Sat Nav, child seats and extra drivers also bookable. The Finns are fanatical about clean living and they voted Tampere as the most attractive place to live, followed by Jyvaskyla in second place. Others in the top ten included Turku, Oulu, Kuopio and Helsinki. 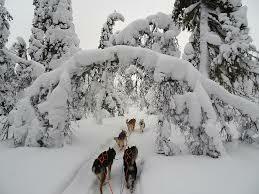 Finland is excellent for snow based activities with more snowfall than elsehere in Europe. Granted, it is a little cooler than the more popular destinations such as the French Alps, but you are assured of good skiing. The city capital Helsinki is filled with lakes that are worth visiting as well. After landing at Helsinki Airport, take a drive around Helsinki. You will have to go around the lakes to get to your destination. Unlike other European cities, Helsinki governing body have ensured large expanses of parks, pedestrian areas and good transport system with tram cars making it easy to navigate. This coupled with a first class road network makes driving a hire car in Finland both easy and enjoyable. 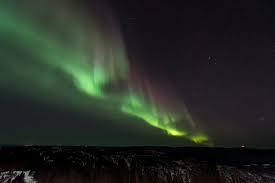 We also offers car rental in next door Sweden.